Genesis: We are led to believe that of the twins, Esau was the evil one and Jacob was the good. Yet, in bible study it becomes clear the opposite is true. Jacob blackmailed his brother for the "birthright," refusing to feed him until he relinquished. Later Jacob dressed up as Esau to fool their blind father into granting him those rights. Jacob's history was full of evil, especially his murder of Hamor's clan. By telling the story from Esau's perspective, Jacob's wickedness comes to light. Exodus: Moses fled Egypt after murdering an Egyptian. He settled in Midian where he married Zipporah and fathered two sons. He was living in contentment until God ordered him to return to Egypt to liberate his countrymen. 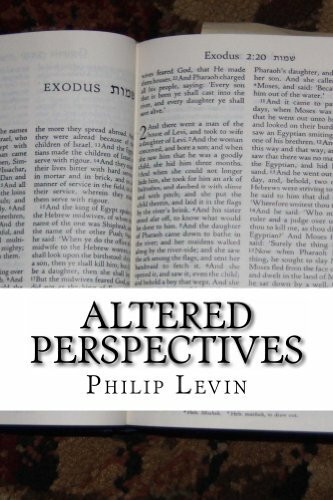 Told from Zipporah's perspective, the sacrifices Moses made brings the stories to life. The only major changes in the original scriptures are the characters' ages, reducing them from the Bible's references to more realistic levels. Both stories are based as much as possible on geopolitical features, social morality, and cultural traditions of that time period.